Take Maggiano’s Little Italy. Little Italy isn’t a selling point for anyone in NYC who enjoys tasting their food, so adopting this shrinking neighborhood as a concept and transporting it to the suburbs seems misguided at best. I don’t doubt that there are parts of the country lacking in big family-style plates of manicotti and breaded veal cutlets smothered in marinara, and I have family members who insist on dining on Mulberry Street when they very rarely visit. It must be America’s favorite casual dining restaurant for a reason. 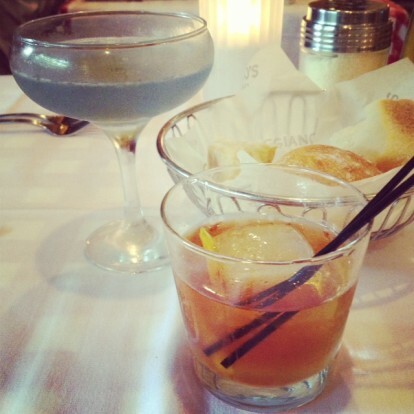 It was the Handcrafted Classic Cocktails (as opposed to the plain Classic Cocktails section featuring a lemon drop and long island iced tea), though, that caught my attention and ultimately brought me to Bridgewater, New Jersey. 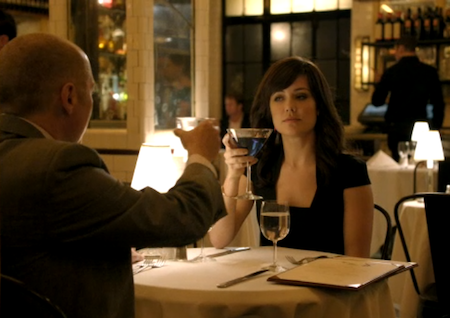 There is an aviation, properly made and just mauve, not jewel-toned like the royal purple version ordered by James Spader in French in Montreal on The Blacklist to show off to the young FBI lady who just wanted a glass of Chardonnay, as if an aviation is the epitome of sophistication. They taste like Sweet Tarts, frankly, but they certainly are pretty and I do appreciate their presence on Maggiano’s menu. Antica was pretty on point, as was the presence of Aperol, multiple bitters and Fever Tree tonic water. Do note the fat ice cube in my Catcher in the Rye (Knob Creek Rye, Luxardo Marashino, simple syrup, Old Fashion Bitters). Until recently, Bonefish Grill was dinner-only, so its decision to introduce a Sunday Brunch (and Bistro Lunch) is certainly more about increasing a day’s earnings (also, the Ruby Tuesday in Times Square advertises breakfast, a feature mentioned nowhere on its site) than trying to attract city folk with unlimited bubbles. 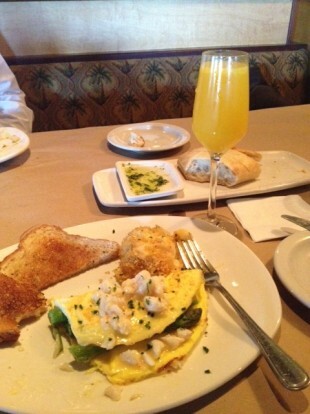 Still, what other chains can you think of are doing brunch, the most controversial meal among food-centric crowds, with bottomless mimosas and bellinis? On a gut level I am anti-brunch, but because I can’t articulate why in a convincing matter I cave quietly now and then. The brunch fare isn’t particularly on-brand for a seafood restaurant. Sure, there is a surf and turf eggs benedict with lobster and a crab and asparagus omelet (above) but the toast and au gratin potatoes (or fresh fruit) seem odd, especially coupled with the requisite warm Italian loaf and pesto dipping oil. $19.9 (Bonefish prices everything in oddball increments) gets you that and unlimited bubbly drinks, provenance unknown, though likely prosecco and not Perrier Jouet “Grand Brut,” the only other sparkler it sells. For fall, P.F. 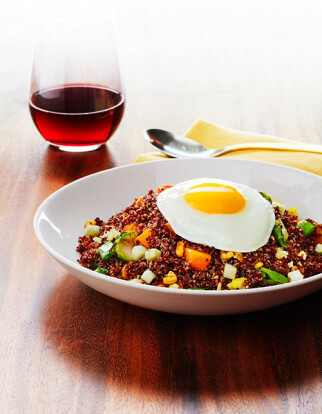 Chang’s has created “fried rice” from red quinoa and assorted vegetables. It’s topped with an egg. I was about to say that this is crying out for kale, but kale has its own showcase in the also-new Shanghai Waldorf Salad. say even because I’ve never had any interest in this Darden brand because it seemed so bland but am getting itchy to visit all of a sudden–maybe it’s the Snowfall-esque website with a mesmerizing pumpkin spice lava cake that’s sliced and oozes over and over again) has introduced a limited edition montana mule (I can’t get a straight answer on capitalizing cocktails or not, and it’s more problematic when the names contain proper nouns) Jim Beam, no vodka. 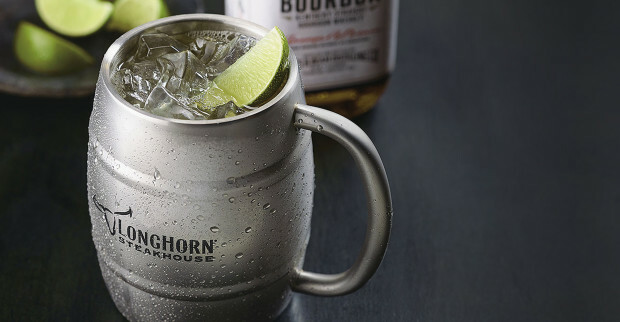 So, it seems that the moscow mule is becoming the new martini with ginger, and possibly a metal mug, being the only requirement for the designation.